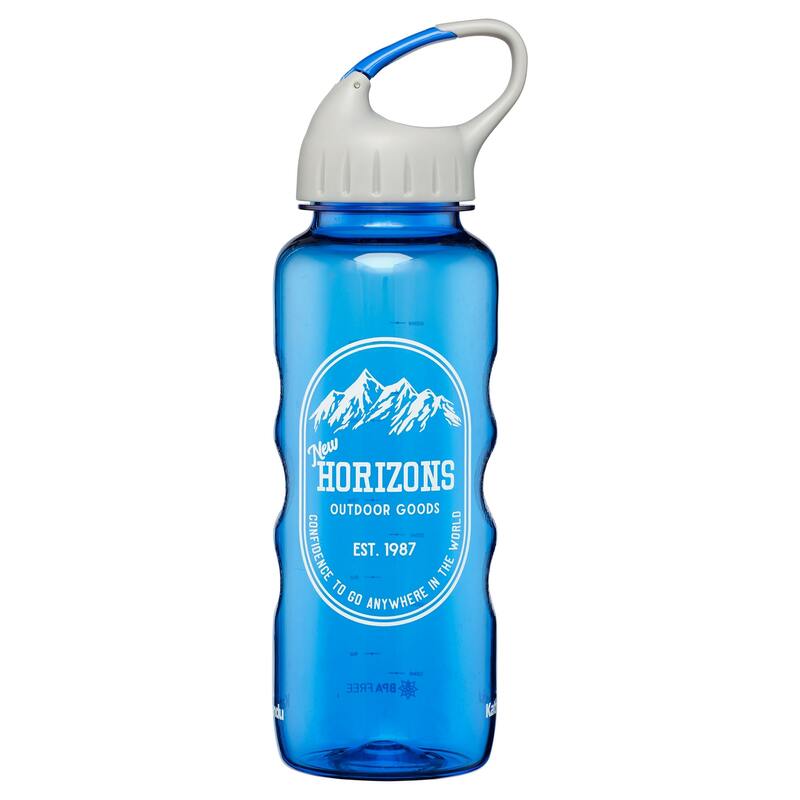 You will always have water with you with our Loop Lid Drink Bottle that is ideal for outdoor pursuits. Use the built in carabiner to clip the bottle to: the cord on the side of your kayak, a loop on your pack, your climbing belt or some other piece of gear. Not recommend for hot beverages as the plastic will become too hot to touch. Please check product tag for dishwasher instructions. The latest bottles are made from a new resin which is dishwasher safe. Most plastic containers are marked (usually on the bottom) with a number within a triangle with arrows – commonly known as a recycling symbol. These numbers known as the resin identification coding system, were created to facilitate recycling programs. These recycling numbers can range from #1 to #7, depending on the type of plastic. The #7 recycling label is an indicator for plastics made with a resin other than those on the #1 to #6 designations, or made of more than one resin. The #7 category not only includes polycarbonate, but also includes compostable plastics made of organic material and other types of plastic that do not necessarily contain BPA (Bisphenol-A).